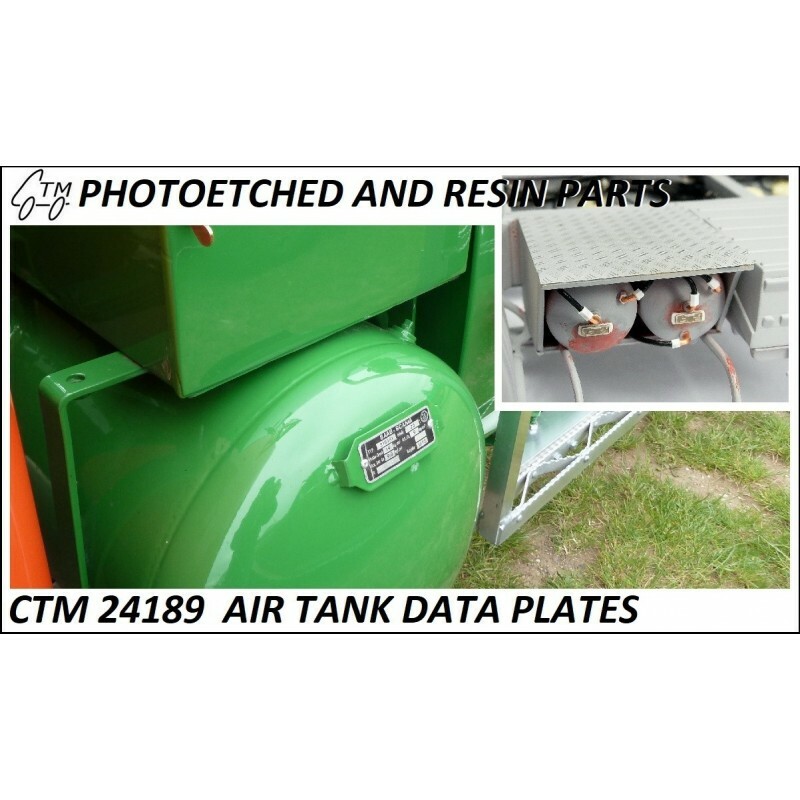 CTM 24189 Air tank data plates - CTM - CZECH TRUCK MODEL, s.r.o. For detailing your truck and trailer air tanks. Universal for 1/24 and 1/25 scale and can be used or any American or European trucks and trailers. The data plates can be either used an applied with or without a mount.